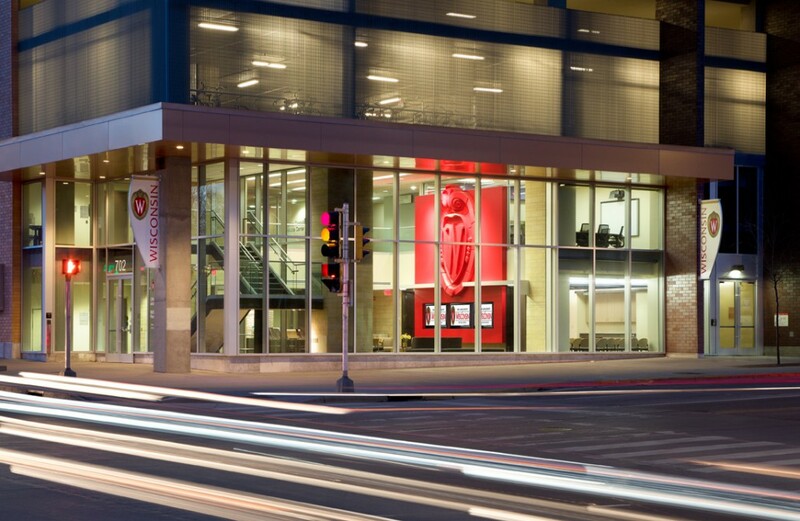 Potter Lawson transformed an energetic corner of the University Square Development (also designed by Potter Lawson) into the new UW Madison’s Admissions & Recruitment Office. Located in the heart of campus the space offers an exciting, lively, and branded space for student recruitment. 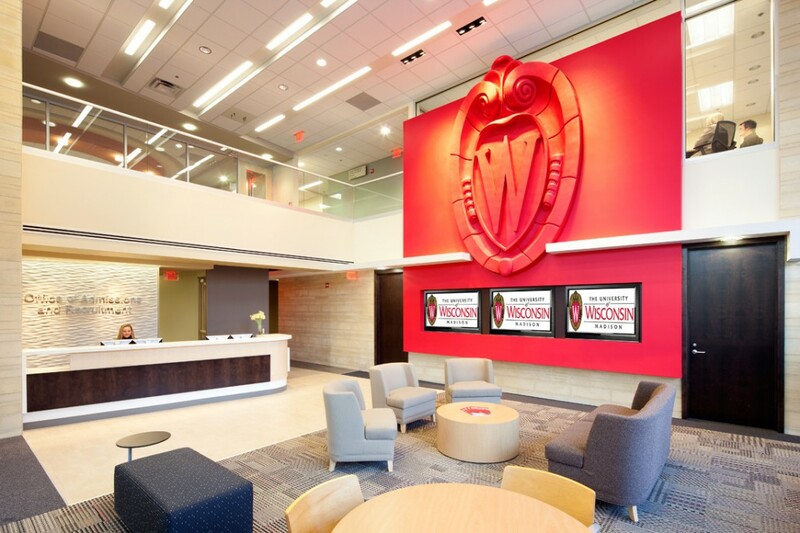 In addition to the two-story lobby and iconic UW logo, the space includes a large multi-purpose seminar room, reception area, and staff offices.